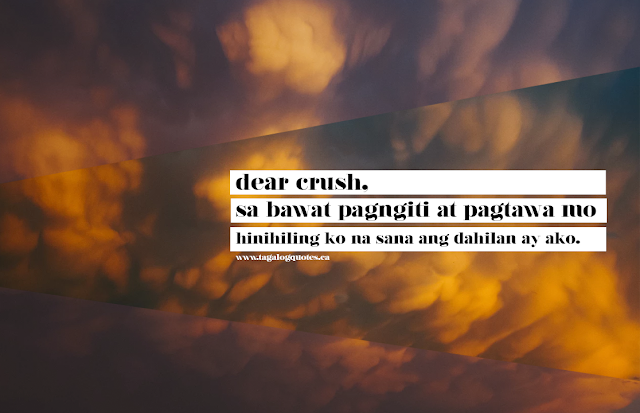 Ah, crushes! They make us excited, giddy and happy despite the fact that they don't have the idea that we admire them. Sometimes, there's pain but just one hi and one conversation no matter how short, we are already up in heaven. Thank God for that fateful day. For the you who nurtures her/his crush silently in your heart, here are some crush quotes that you will definitely find relatable. Ah, love, the one thing that could either make or break us. The one thing that holds our heart at gunpoint. Love makes us happy, makes us cry and every emotion in between. Whatever we see or hear, we can automatically relate it to love. And for us who are either broken by love or is in love, here are some hugot lines love that you will definitely find relatable. We tend to over plan everything. We wanted the best in life and so we plan everything from the beginning, on how it will go and how it will end but sometimes, those plans of us are not the life that we are meant to live. 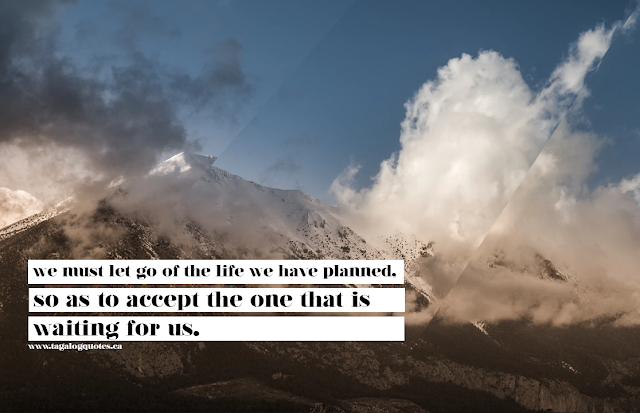 And we need to learn and accept that because when we do we will be surprised of the life that is waiting for us to take. People may always say that life passed them by but life is something that begins when we decided to do so. Everything in our lives is the result of every decision we made. Those decisions gave birth to the life you are living, the path you are taking and whatever is happening in our life. 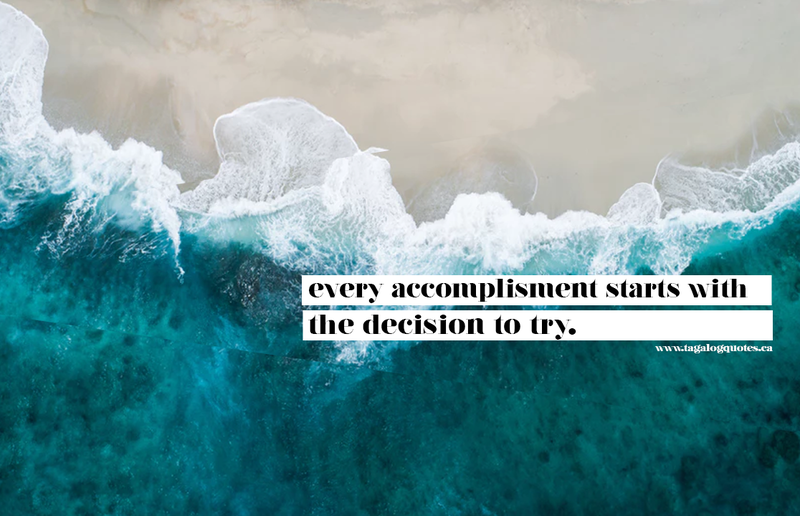 So if you wanted something, get up and go for it because nothing is gonna happen if you just wait for it. We are lost creatures. We always find ourselves in the middle of nowhere called life, seemingly just floating and going with the flow. 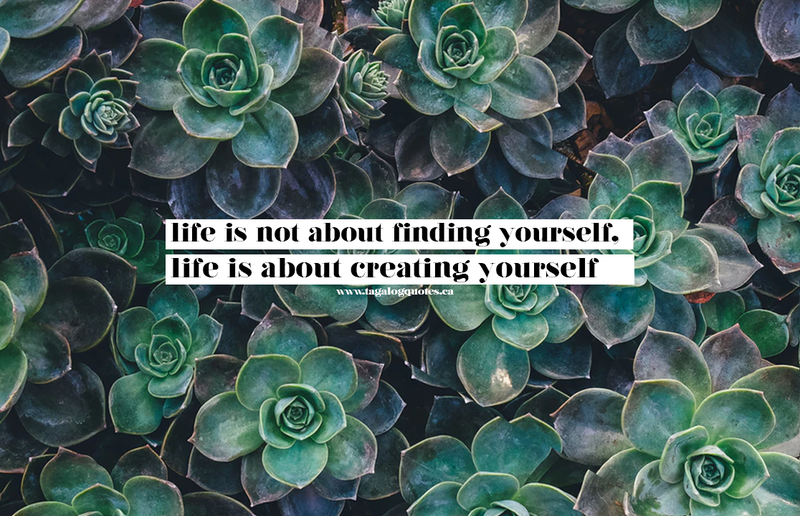 But have you ever wondered that the reason why we feel and seemed lost is because we are never meant to find ourselves rather we are meant to create the person whom we wanted to be? If you have your own Inspirational Sayings About Life, feel free to visit our Official Facebook Page www.facebook.com/phquotestagalog/ and share it with us. We would be delighted to have your quotes featured on tagalogquotes.ca. For more updates, you can always visit our Facebook Page and follow us on Twitter @PinoyQuotes365. Jealousy is like sipping a coffee thinking it's sweet only it tasted too bitter. It's something that is of human nature that sometimes we just find ourselves feeling it even though we thought we will never ever do so. Loving someone will always bring a new set of emotions that you never felt before and this is one of those. It's unpleasant and painful but each of us deals with it. Here are relatable jealous quotes for him that will make you nod in agreement. And though you may have done wrong your entire life and you have gone down the path that you were not meant to walk to, ask for Him with all your heart, repent and change because it's never too late. That's how great his love is. Here are another set of Lent season quotes that will give you the push you need. Ash Wednesday is more than a cross on your forehead. It's more than the ash or dirt on your forehead. It will all be meaningless without us reflecting on our actions and with our life. Remember, words without actions are meaningless. Here are some Ash Wednesday quotes for you to reflect on. This Lent season as we reflect on our lives, we will realize many things may it be big or small. Everything will be magnified which will help us see how truly wonderful this life of ours and how amazing God works. Here are some Lent inspirational quotes to boost your week. It's the time of the year where we will reflect on our lives, how far we've come and every little thing that we did. This is the time we look up to God and ask forgiveness for everything we did, and give thanks for everything He did for us. It's Lent season my friends, and for this, we have a set of relatable quotes that will help you remember the true meaning of Lent.